“There are service places you go to because they are ‘convenient’ and ‘hassle-free’ and then there are places like Antero Automotive & Truck Services. This shop has supported me as a single mother who knows very little about cars outside of the normal maintenance activities. They have always made time to talk through all my vehicle decisions regarding what to purchase, which maintenance to do when, budgeting repairs, and overall being a team I can trust with the care of my vehicles. I have recommended them several times to folks and each time they have succeeded in delivering above everyone's expectations. It is obvious that Andy's team is well taken care of and they all take pride in what they deliver!” — Margaret U. “The reviews are true. This place is fantastic. I worked with Andy through the entire process and he went out of his way to help save me some money. Antero Automotive & Truck Services keeps you informed and comfortable which is a lot more than I can say for other shops I've been to. After only one experience with them, Antero has a loyal customer and referral source. Thanks guys!” — Jeff K.
Antero Automotive & Truck Services is a NAPA Auto Care center that is AAA-approved, Repair Pals certified, and an elite ASE Blue Seal Shop. Whether your Mini Cooper requires minor service tweaks or major auto repair work, our Master Level ASE-certified auto mechanics have the experience and expertise to deliver quality results and transportation peace of mind. And to keep pace with emerging automobile technologies constantly being integrated into Mini Cooper vehicles, they continually train to update their knowledge and associated skills. 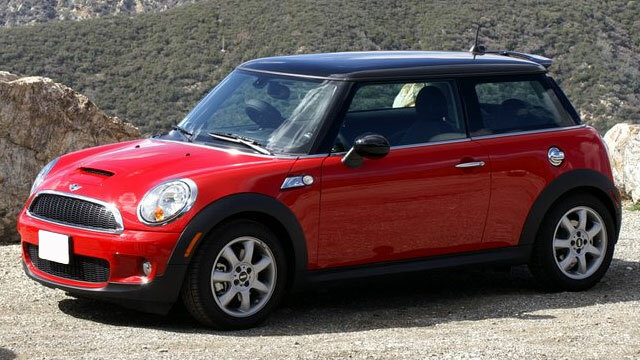 In addition, we’ll back the service and auto repair we provide for your Mini Cooper with a 3-year/36,000-mile warranty. If you are looking for a shop in the Denver Tech Center area that will care for your Mini Cooper like it was their own, let Antero Automotive & Truck Services serve you with the honesty, expertise, and professionalism you expect and deserve. We invite you to call us, schedule an appointment or visit us at 6615 South Dayton Street, Greenwood Village, CO 80111 between the hours of 8:00 and 6:00 pm, Monday to Friday. You won’t regret it!